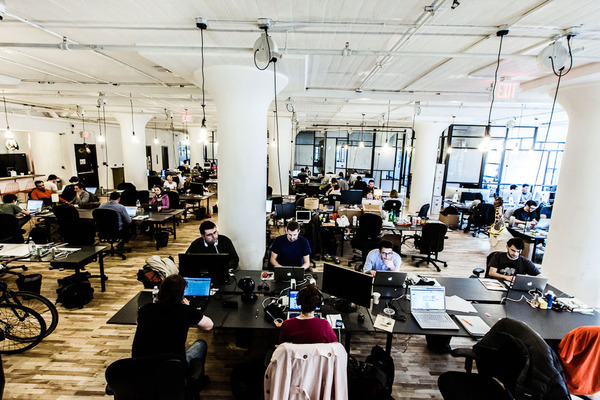 Billion-dollar coworking startup success WeWork is now added to the growing list of tech companies clashing with former employees in court over proper treatment, as a report from BuzzFeed indicates that it will go to court over improperly terminating an employee who had raised complaints over the measures the company took while she was working there. Tara Zoumer, who worked as a community manager for WeWork in San Francisco for a year, claims the company fired her because she’d been open with other employees about her belief that the company was in violation of California Labor Law, and she refused to sign an arbitration agreement passed out to employees after she already had pending claims in court. The details of her work don’t sound dissimilar to stories heard recently about the environment for non-technical employees at major startups. Although she was paid $42,000 — well above the minimum wage of those like former Yelp employee Talia Jane — Zoumer’s time at HR startup TriNet made her particularly savvy with labor standards at companies. As such, she was particularly sensitive to the laws surrounding employment, and felt that her 50-60 hour workweek entitled her to receive overtime pay and regular breaks. Despite her decision to sue WeWork for its practices and her unwillingness to sign the new agreement, WeWork might be able to successfully force Zoumer’s case into private arbitration anyway, per a clause in the contract she signed when she was hired. The company has filed a petition in New York related to the California case. The pressure mounting in the treatment of non-technical employees at startups is not dissimilar to other fights related to contracted workers at “on demand” companies like Uber. While there is plenty of argument surrounding the ethical strings attached to pushing non-technical workers to adopt long hours at a pay scale that might drastically affect their cost of living in San Francisco, there’s also plenty of hard-line laws that are designed to protect these people from wrongful classification and wrongful termination. However, this could be an even thornier process, as companies have more leverage in pushing employees to arbitration rather than a trial. The strength of these clauses could make the difference.